If you’re thinking of purchasing your own Spanish property, or are lucky enough to already own one, you’ll probably know about all of the obvious attractions available to you such as the wonderful beaches, great climate and world-class golf courses. But what else is there to do once you’ve exhausted the everyday activities such as a round of golf at the famous La Manga Club and are tired of soaking up the sun on the beach? This article is a guide on fiestas – something you definitely won’t want to miss out on when you own a Spanish property, and that you’ll never get tired of. Spain is known as the land of the fiestas – or ‘festivals’ in English. From the bull running in Pamplona to the tomato fight in Bunyol, Spain is renowned for its fiestas. And although these particular examples are internationally famous, there are so many more local fiestas to enjoy when you own a Spanish property. Every village, no matter how small, celebrates their own local festivities at some point during the year. Fiestas see enormous numbers of people gathering together on the streets to party with their neighbours with loud music, dancing, and almost always fireworks and firecrackers. Some of the best fiestas in Spain have deep religious and historical meaning, whilst others are simply meant for partying and having fun! Whether you spend the whole year in your Spanish property, or use it as a holiday home, you won’t want to miss out on at least one fiesta during the year. When do fiestas take place? Every day throughout the year there are fiestas taking place somewhere in Spain, either at a local, regional or national level. Some of the national fiestas, as mentioned above, will take place around religious festivals such as Christmas, Easter or All Saints Day (Halloween), but many are highly localised events that last for just a day, or sometimes weeks! The most common fiestas that take place throughout the year and across all locations involve bull running. This involves daredevil residents running alongside bulls through the streets with lots of cheering from onlookers. You may be thinking that this sounds pretty dangerous, and you’d be right! Every year people are injured in bull running fiestas, but that doesn’t stop them. Even the smallest mountain villages have at least one bull running fiesta throughout the year as part of their annual celebrations to honour their patron saint. One of the most famous bull running fiestas is the ‘San Fermin’ fiesta in Pamploma which attracts thousands of people from all over the world each year. A quick Google of the fiestas in the area that your Spanish property is located will reveal a list of the fiestas that you can enjoy. What is the most popular fiesta? Arguably the biggest and most popular fiesta in Europe is Las Fallas in Valencia. Las Fallas is an extraordinary and unique festival that is definitely one to cross off the bucket list while you’re staying in your Spanish property. Fallas means ‘fires’ in the traditional Valencian dialect, and this fiesta definitely lives up to its name! On the night of March 19th each year the whole city appears to be ablaze when more than 350 beautifully made statues are burnt to the ground. The world-renowned fiesta takes place over five days, and combines pagan rituals with honouring St Joseph. This fiesta is now so popular this it is one of Spain’s major tourist attractions, bringing in visitors from all around the world who want to experience this truly special event. If you’re staying in your Spanish property and decide to take part in the Las Fallas festivities, be prepared for an early start! The fiesta begins each day at 8am with brass bands marching down the streets accompanied by locals letting off loud firecrackers. One thing that this fiesta definitely is not, is quiet! Be prepared to literally feel the earth shake beneath your feet! All day you’ll hear music, and firecrackers so loud that they sound like explosions. This fiesta is one enormous street party during the days, with various parades, pageants, beauty shows, paella competitions and bullfights all over the city for you to enjoy. Once the days’ festivities are over, each night during Las Fallas you’ll be treated to spectacular fireworks displays late into the night that get more and more extravagant as the week progresses. Sound like fun? We highly recommend adding this fiesta to your to-do list if you’re in your Spanish property at this time. Don’t have a Spanish property yet, but don’t want to miss out? At Spanish Legal Homes, we have hundreds of ‘key ready’ Spanish properties on our books, so if you’re seriously thinking about investing in a Spanish property, then we’d love to help you on your search. To date, we’ve helped over 10,000 clients find their dream Spanish property. 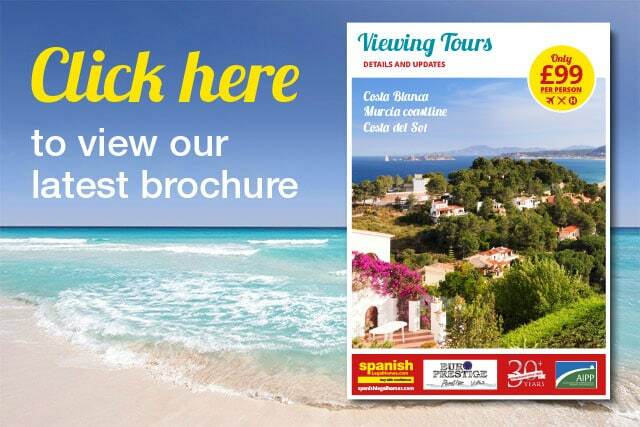 So to avoid missing out on the wonderful experiences of fiestas, why not start your own Spanish property journey? It’s also worth bearing in mind that there is excellent investment potential through renting your Spanish property out whilst you’re not using it. Families are often looking to rent Spanish properties during the school holidays or during the most popular fiestas, and this is a fantastic way to earn some extra spending money, or to pay off your mortgage. We offer weekly £99 viewing trips where we’ll show you 8-10 properties a day that match your requirements. Our agents are experts in the local areas, so would be happy to offer you inside advice on events such as the ones mentioned in this article too.